Messaging is a core component of generating useful feedback. It's not enough to gather votes, NPS or responses. You need to ask questions in a conversational format. This is why Intercom is such a great place to capture feedback. You can already click to go to a user's profile in Intercom to message them. Taking this one step further, you can now message users directly within Userfeed. But here's the kicker: we send these messages via Intercom behind the scenes. 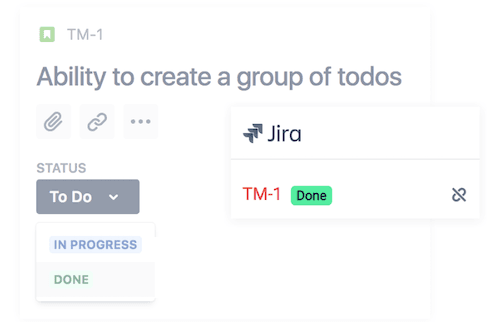 This keeps all of your customer engagement in the one place (Intercom) so you're not duplicating efforts or annoying users with messages about the same thing. Responding to a user's comment? Send the user a private message to learn more about their needs. You can optionally include your message as a public comment as well, giving other users visibility into your follow-up. Labels: More granular categorization describing a post. Each post can have many labels. Think of labels as attributes of feedback. 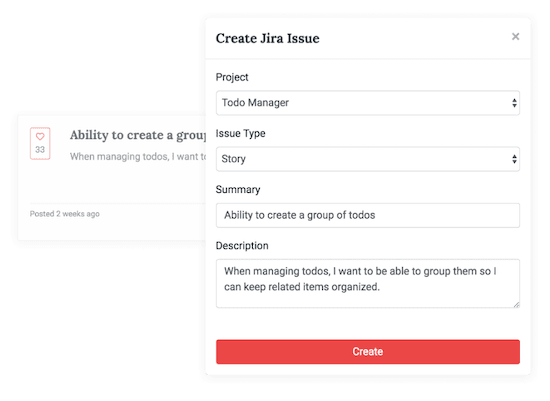 Examples would be types of feature requests, product features, or planned releases (e.g. "this post is a Feature Request about our report generator"
This additional layer of categorization will lay the groundwork for more granular reporting and prioritization features in the future! We've completely redesigned how you view, search, and add feedback within Userfeed. The new Feedback page will save you time and make it easy to see most liked posts across feeds, labels and status. 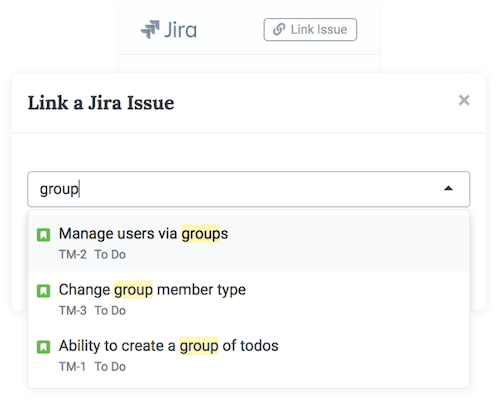 When all linked Jira Issues are done, we'll mark the post as complete in Userfeed. Share feedback for your users to browse, like, and comment on. You can curate what posts are shown here based on status (by default we show "under review' posts). Using our Feedback Button widget in your Intercom Messenger, users can submit new feedback with a file attachment (see above). 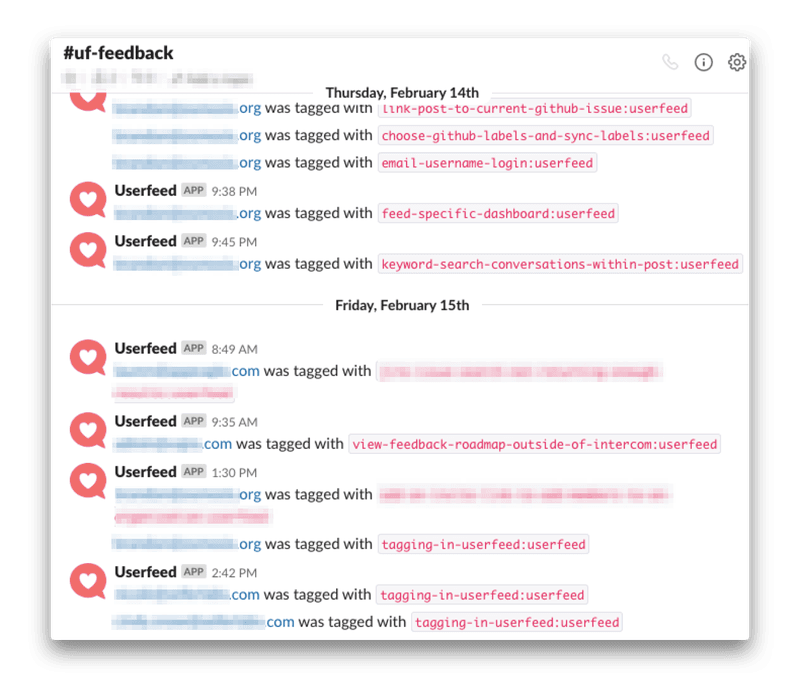 Since Userfeed is built 100% on Intercom, you can use Intercom's Zapier app to get notified in Slack when new feedback is created. Use our Zapier template to get started.